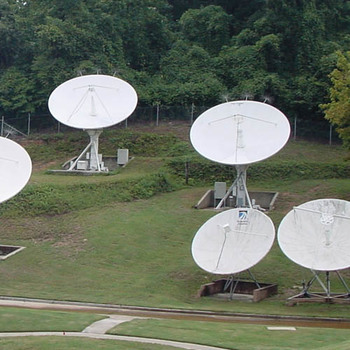 NPR has strongly encouraged its Public Radio Satellite System (PRSS) stations to have FCC Registration for their C-Band downlink sites. There’s a significant chance that any FCC action to permit wireless broadband access to C-Band spectrum could negatively effect and result in interference to unregistered / unlicensed satellite C-Band earth stations. We can help perform Frequency Coordination of the site. We will conduct an Interference Analysis of each proposed location, based on the site coordinates provided and then analyze the total frequency spectrum in the downlink range of 3700-4200 MHz available. We will do the required Prior Coordination Notification of circulating the specific data to the other Common Carrier licenses, which require notification indicating the operational characteristics of your system. This process can be completed in as little as 35 days or less, allowing responses from the common carrier community. Next we prepare and file the FCC Registration/License application, with all the required documents, which takes about 10-15 days to complete. We follow up and insure your FCC Registration/License is complete and accurate and share a copy of same with you. Fill out the form to the right, we will email you the information and cost.